Come with us exploring and kiting some of the longest lefts on this planet and experiencing this together with a great and fun group of advanced kiters - all this paired with having a professional filmer at the beach pointing his camera at you and Marc's video assisted coaching to get the best out of your riding..!! There couldn't be a better way to discover Peru while at the same time enjoying a fun and effective learning experience that will have a lasting effect on your kitesurfing skills and pleasure to come. Marc has been holding wave clinics for more than 7 years and has developed a unique and effective method to coach you in order to get your wave riding skills to the next level. More details on the coaching here. There will be daily theory sessions in the morning before you go out on the water to put that into practice in the afternoon. This is then followed in the evening by a personalised video coaching session to analyse and monitor your progress, defining your personal goals. Explore the prime kite spot northern Peru has to offer and experience its best in an interesting and fun group. No planning required, just bring your board and kites, everything is taken care of. Latest Firewire boards available to test. Filming of your kite sessions for the video coaching, plus have a chance to take advantage of the opportunity of a professionally edited video of yourself. Peru hosts some of the longest kiteable lefts on this planet. 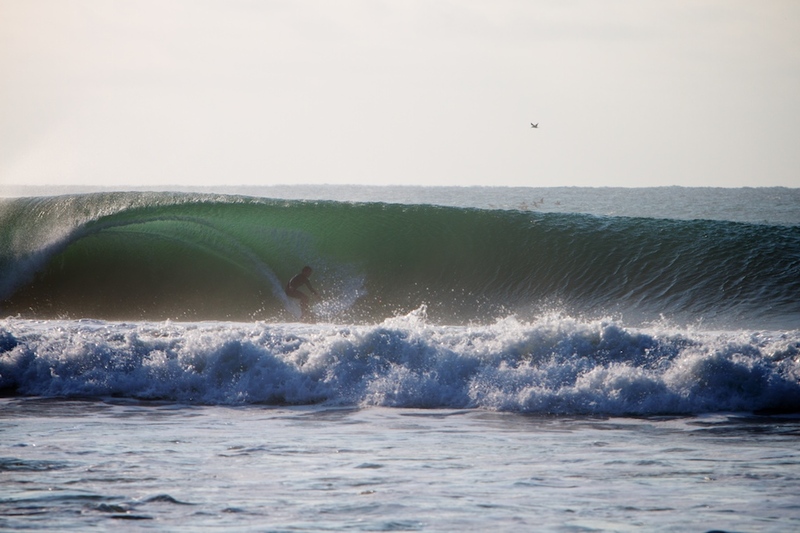 There are a big number of wave spots around and up to a one-hour-drive south of Mancora. Choosing the right spot is crucial and depends also of the amount and direction of swell. 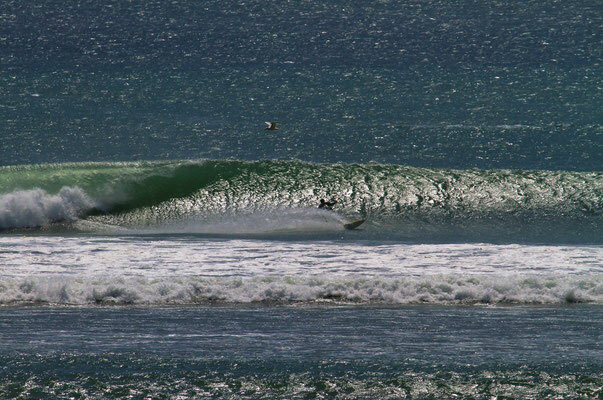 On top some spots work only or better with northerly swells, some better with southerly swells. Choosing the right spot is a complex task - a wise thing to outsource..! The winds up north around Mancora are the strongest for riding waves, whereas more south the wind becomes a bit lighter. 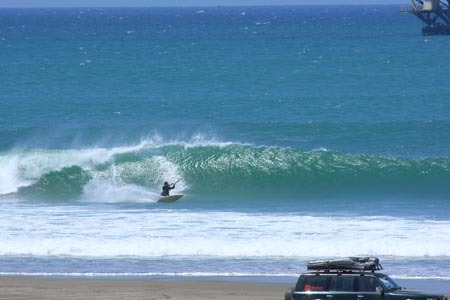 Pacasmayo in general has bigger and longer waves that remain fairly easy to ride, but with lighter winds. Also there's way more crowds - so it's great to first practice at empty spots up north and then come and apply it all in Pacasmayo. In Pacasmayo we'll stay at the hotel situated right in the bay and furthest out from town. It's a great base as you can start your kiting sessions straight from the hotel without having to go anywhere else. The rooms are simple but clean and it's well worth staying there. The sunset drinks after a great session while overlooking the last waves of the day rolling in are classic. 6 days of intense coaching with morning theory lessons and personal video coachings in the evening. Marc knows his way around and will be cooperating with local guides, also helping everybody to be and stay safe wherever we go. You will be filmed for video coaching purposes that will be viewed and analysed every night or the following morning. You are able to get the coaching videos free of charge for your use. There will be an opportunity to pay something extra to be able to receive a professionally edited video to take home as a souvenir with your personal riding mixed into the impressions of the trip. Also we'll do our best to shoot some stills that you'll receive as part of the package if conditions allow. We might get an outside photographer and share his cost for whoever is keen. Please inquire for extending your stay at the resort in order to take advantage of our group package. You will be filmed on eight days, which is then put together for daily video feedback sessions. Please note that we have done everything in order to maximise the chances to catch the best conditions for you. However we are not in control of the weather and there will be no refunds due to lack of wind. Peru is known for its great wind consistency and by choosing to go there in May we added plenty of extra time for the wind season to get in full swing. In case of no wind the clinic will still take place as planned. The theoretical part of it proves to be very valuable information that will still be of interest to you even without the opportunity to practice this on the very same day. 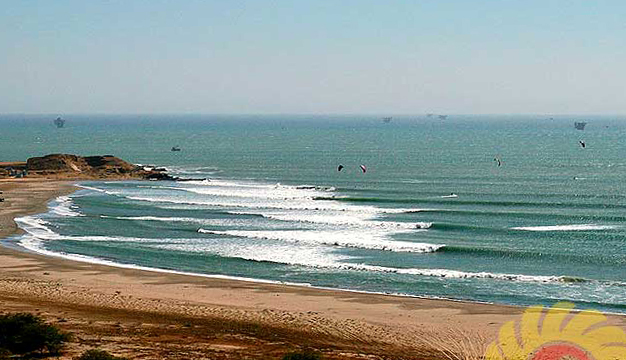 Northern Peru is besides the wave kiting more so an extraordinary and world renown place for surfing. In the unlikely case of total lack of wind Marc will take you surf or SUP to improve or get you going with that - the best sport to help boost your kite wave riding. Everybody is responsible for buying his own plane ticket. I recommend starting by checking on www.skyscanner.com for the best and cheapest connections from your point of departure. Don't forget to make sure checking the excess baggage allowances for the airlines you consider booking. Your domestic connection is with Latam, partner in the OneWorld Alliance - try to book straight to the Destination Airport if possible.